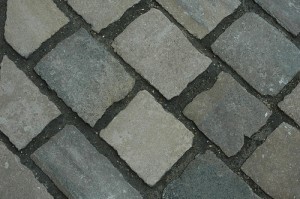 This section gives you reviews of paver brands and materials. It also compares materials and project types so that you can make an informed decision when it comes time to plan your project. Click on the following blue links to access these articles. Come back often for newer articles. The first thing visitors and passerbys will see when they look at your house – besides your house, of course – will be the driveway. A well designed and well installed residential driveway, made from quality materials, will accentuate the fine appearance of your home, even taking a modest home and turning it into something more. A pathetic driveway, on the other hand, can have the opposite effect – a crumbling mess can make even the nicest home look less valuable. So, you’re probably considering a new driveway paving project, either for functional or aesthetic reasons, or perhaps both. Fortunately, and unfortunately, there are plenty of driveway paving materials available for you to choose from. Fortunately, insofar as you’ll be able to pick the perfect driveway for your home, given your budget, but unfortunately because the inexperienced homeowner may feel overwhelmed by choice. 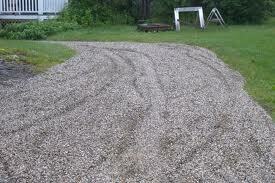 Paving a driveway is a complex affair: Which material should you use? Should you install it yourself as a DIY paving project? How do you hire a contractor? These and many other questions might be going through your mind right now. To help you out, this driveway paving guide will help you sort out the various aspects of this process, both to help answer questions you have and to better inform your ongoing research process. A driveway is a huge investment in your home, both in your time and financial resources, so you’ll want to spend time doing your due diligence. The more research, the better. We hope that this article reveals and guides you in your quest! Before going further, you’ll need to sketch out your basic budget. Obviously, you’ll want to have a range, as sometimes costs can add up faster than you expect, especially if your job will require special work. Which material is the cheapest? This is a different question from “which material is the most valuable?” You may pay more money, in absolute terms, for one material, but end up making more in the long run given the quality of the material and the potential to increase your home’s value. Thus, don’t necessarily think only in terms of sheer prices per square foot, but rather in short and long term costs and value. To get a more specific estimate, you can read this article on driveway paving cost or you can find a cost calculator for these products for a decent guide, but the only true measure will be an estimate from a local contractor. Let’s talk about the relative merits of each material. WHAT DO YOU WANT IN A DRIVEWAY? After budget, the next questions you need to ask yourself are about performance and looks. First, performance – you’re going to be driving and parking on this surface, so you want to make sure it won’t break apart. Most driveway materials will have no problem standing up to this kind of abuse – as long as they’re installed in a proper manner. This is why it’s critical to find a skilled contractor – if you look for a bargain, you may get a disaster instead. Go with quality. Next, aesthetics. This may be a very small concern of yours after the above two – paving cost and how well and long the driveway holds up – but it’s still important, especially considering you’ll be living with the driveway for many years. In general, go with the materials that have more design options – usually, these are your paving stone materials, as they come in many shapes, sizes, and colors, and thus give you more freedom to create. Depending on your project and circumstance, you may have other concerns to consider. For example, you may have environmental concerns to balance; in this case, you’d want to avoid materials like asphalt that damage the environment or any driveway material that isn’t permeable in order to allow for proper water drainage. 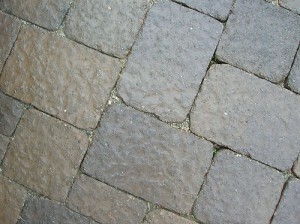 A good material to look into in this case are grass pavers or other permeable alternatives. As stated in the cost section above, the most popular materials for your driveway include loose stone (gravel, for example), asphalt, concrete, concrete pavers, brick pavers, and natural stone pavers. The material you choose will depend on a large number of factors, not least of which is your budget. This will probably be the main determinant of your final selection. Truth be told, if you had an unlimited budget, you’d surely go for one of the pavers options, and probably with the most expensive option – one of the natural stone pavers. However, most of us need to settle with more affordable options, which is why concrete and asphalt, in particular, are so popular. For a long discussion of the relative merits of each material, check out this discussion on the merits of stamped concrete vs pavers and a comparison of all the other materials mentioned above in terms of strength, durability, maintenance, price/value, and more. Note, however, that there also other materials out there, from paving flags and concrete slabs to macadam and block paving and everything in between. Thus, this discussion isn’t exhaustive, but it will at least highlight the most common and popular material types available. Even if we go with these inexpensive options, we still shouldn’t settle for “cheap” necessarily. There is a big, big difference between high quality and low quality asphalt driveway paving, for example, so keep this in mind when shopping around with potential driveway paving contractors. The sticker price you pay at first installation may not be the only money you lay out over the lifetime of the driveway. Consider what maintenance costs, both in dollars and in your time, may also come with that material. It may be prudent, for example, to invest more now for a low-maintenance material (concrete) than to pay a little bit now for a material that won’t hold up as well over time and will require more maintenance and repair (e.g. asphalt). Blacktop, for instance, will require periodic maintenance to keep it looking fine. 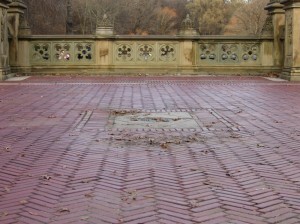 Over time, it will fade and crack, showing the aggregate within the structure, and will thus not look as nice. To keep it looking great, you’ll probably have to get some sealcoating or resurfacing work done; if you don’t, that’s fine, but be ready to deal with a less than optimal driveway. Even paving stones will require occasional concrete paver sealer; usually homeowners will be able to go on sealing pavers themselves, so it usually is not much more of an added expense aside from the time spent working on the project. To finish this article, we’d like to leave you with ten design ideas and construction tips that you may want to consider when getting your new driveway. Of course, these are just suggestions, but hopefully they’ll spur your own ideas and thoughts when it comes time to craft designs and plan your own outdoor creation. 1. If you’re going with the traditional materials, like concrete or asphalt, don’t limit yourself to the standard iteration of these materials. 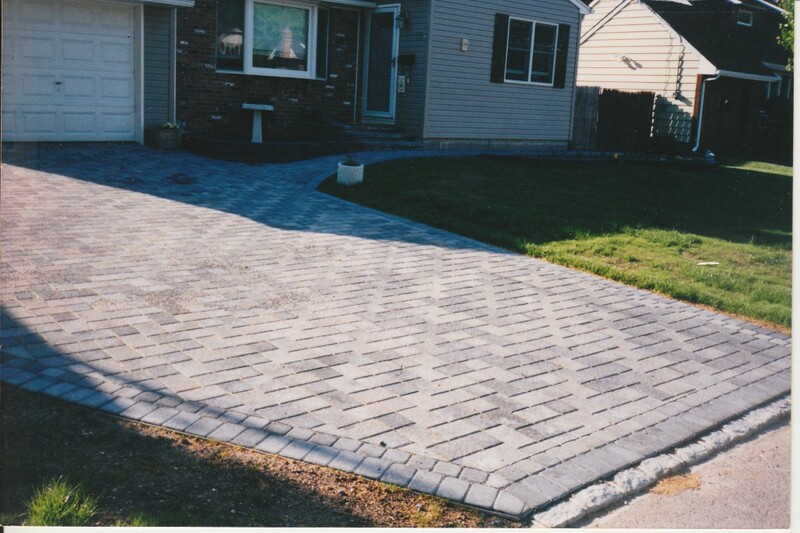 For instance, you can get stamped concrete to look like paving stones at a fraction of the cost. You can also use stains and finishes to make your concrete look totally different from the typical drab, grey appearance. 2. Consider adding a walkway, patio, or pool deck at the same time as your driveway. You can have an integrated project while also saving more money overall if you get it all done at once. 3. Watch out for scams, especially for companies that will come in, excavate your old driveway, and leave you hanging for weeks or even months while they get other jobs in the area, all just to save them a few bucks. 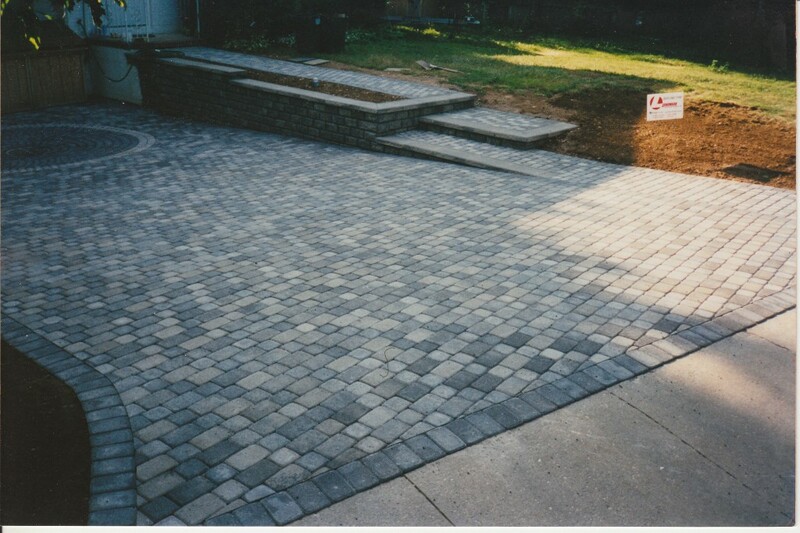 Read reviews, do your research – for instance, here’s some information on how to hire the best paver contractors. These questions can be asked of any contractor, as well. 4. Consider matching your new driveway with new landscaping. 5. 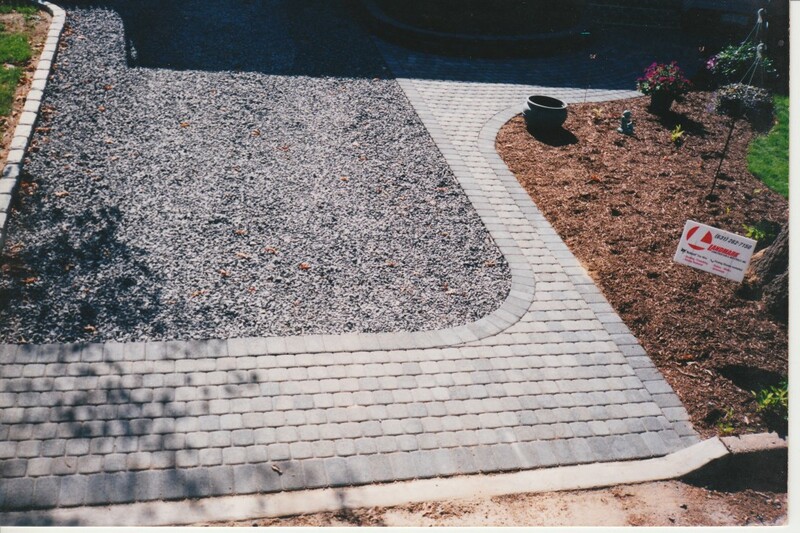 Don’t just automatically copy the old design for your new driveway. 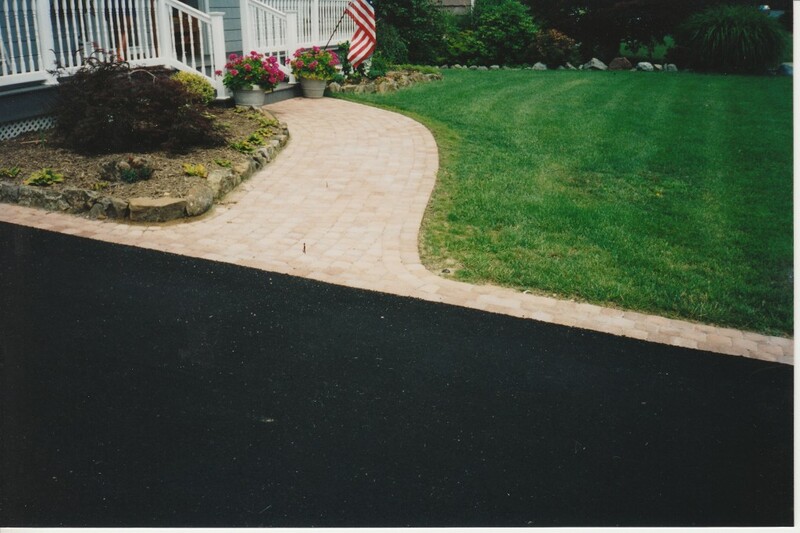 Consider making the driveway bigger or smaller, depending on your needs, and think about the design flairs you can add, such as curves and sections. 6. 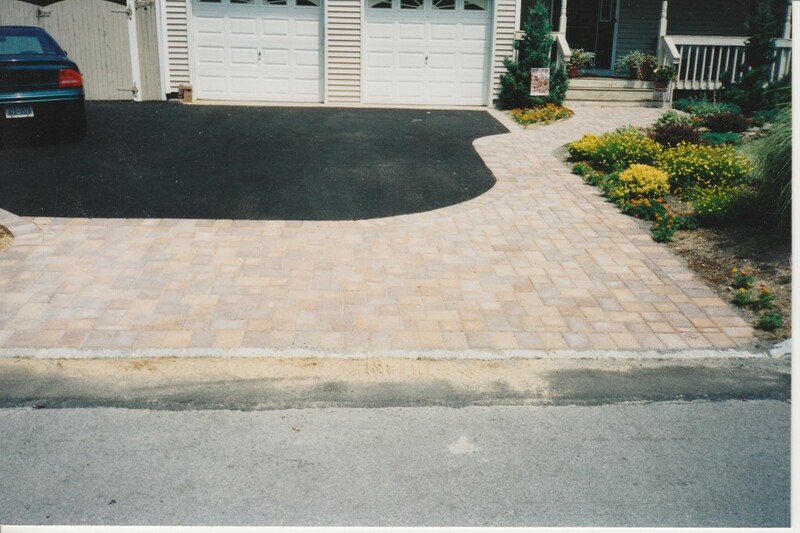 You can mix and match options – if you can’t afford driveway pavers, for instance, consider mixing an asphalt or concrete driveway with a paver apron, border, or walkway. Thus, you can capture some of the beauty of this material without the full expense. 7. Don’t balk about hiring professional design services if you need the help. For a small investment up front, you can have a driveway created for your that will go best with your decor and your home’s style and theme. 8. 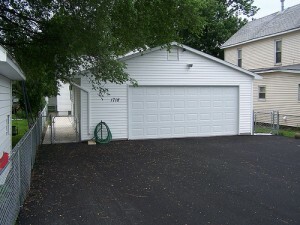 Consider adding other flairs to your driveway, such as fans, circle kits, benches, retaining walls, and more. 9. Pick a color that complements, not necessarily matches, your home’s colors. 10. Finally, if you really need to save money but want to use a brilliant material, consider the driveway a do it yourself project. If you know how to pave a driveway yourself, and have the skills and experience and tools to do the job safely and correctly, you can save money on labor, making a job more affordable, though of course you’ll be paying some of the ‘cost’ of the driveway in your time.